The Los Angeles Clippers head into Game 1 of their Western Conference Quarterfinals series agains the two-time deafening NBA champion Golden State Warriors as major underdogs. If Doc Rivers and Co. were to pull an upset here, it would rival the “We Believe” Warriors of 2006-07 knocking off a 67-win Mavericks team. Sure it’s an unlikely scenario. But there’s at least a few reasons to believe an upstart Clippers team can make this a series and potentially pull off the enormous upset. Take advantage: Warriors play loose with the ball, and it’s hurt them in the past. Golden State ranked in the bottom 10 of the NBA in turnovers during the regular season. Averaging nearly 30 assists per game, that’s going to happen. If the Clippers want to have any shot at defeating these Warriors, they’ll have to force north of 15 turnovers per game. Anything less than that and the defending champs are nearly unbeatable. Get hot: A few players getting hot at the right time could make a world of difference for Los Angeles. In somewhat surprising fashion, Los Angeles ranked second in the NBA, connecting on 39 percent of its three-point attempts during the regular season. It will be difficult against a Warriors perimeter defense that boasts one of the best two-way guards in the NBA in that of Klay Thompson. However, Gilgeous-Alexander, Lou Williams, Patrick Beverley and Landry Shamet all hit north of 36 percent of their shots from distance during the regular year. Use that depth: The Clippers have a depth advantage over Golden State, and it’s not close. Golden State did get much better play from the likes of Andre Iguodala, Shaun Livingston and Quinn Cook late in the season. But this isn’t the deepest Warriors squad of the Steve Kerr era. On the other hand, Los Angeles boasts a rotation that can go 10 deep. We’re looking for the likes of Lou Williams and Montrezl Herrell to pick up their games in this series. Should that happen, the Clips might have a fighting chance. Ride the rookies: Don’t hold Shai Gilgeous-Alexander and Landry Shamet back. Shamet is the real deal. Acquired from Philadephia in the Tobias Harris blockbuster, the rookie averaged nearly 11 points per game while shooting at an absurd 45 percent from distance. Not to be outdone, Gilgeous-Alexander proved himself to be a capable force. He also averaged nearly 11 points per game and shot 36 percent from three-point range. Los Angeles can’t simply hold these two back and rely on veterans during the Warriors’ series. They are among the most-talented players on the roster. Ride them until you die. In the end, we’re not necessarily expecting the Clippers to make this a really competitive series. Winning 48 games in what was a transition year is a mighty fine accomplishment. 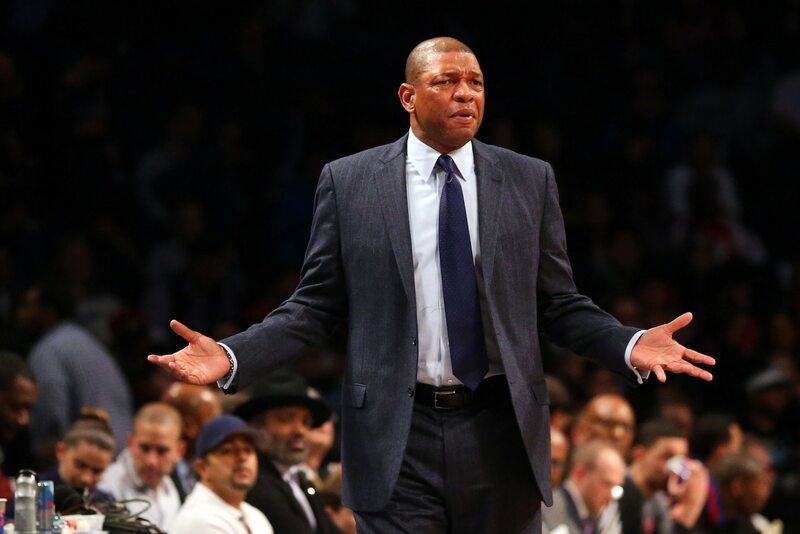 Doc Rivers and Co. just don’t have the firepower to go up against a team with five All-Stars. With that said, the Clippers can make this competitive. They’ve proven to be a resilient bunch. Rivers should be a top Coach of the Year candidate. The youngsters has showed out. Should this all continue, we wouldn’t be shocked if the series went six.